The Visitor Centre, the GEOMuseum and the Bletterbach gorge are closed during the winter. from april 28th until october 31st 2019. Pause for a moment, listen to your body and take a deep breath: this motto describes very well the concept of Südtirol Balance. 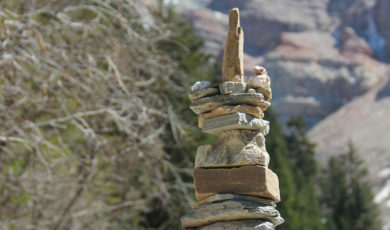 Recharge your batteries, regain your strengh an recalibrate your internal rhythm – far from your everyday life. 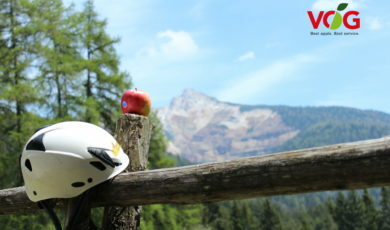 As GEOPARC Bletterbach we take part of this initiative: all partecipants to our guided tours receive a South Tyrolean apple to taste during the walk through the canyon. We aroused your curiosity? 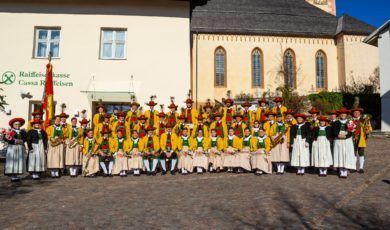 Then look at the programme of our Tourist Association Aldein-Radein-Jochgrimm… in collaboration with the Consortium of South Tyrolean Fruit Growers‘ Co-operatives (VOG). 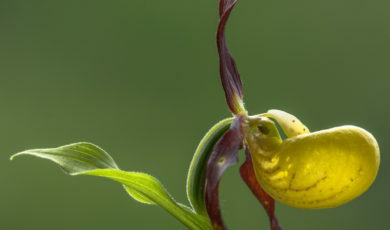 Well, we admit that our orchids are very small and do not really attract your attention. However, at second glance they are gust aswell fascinating as their tropical parents. During this guided tours, our orchid’s expert Johann Madl accompanies you on the way to explore over 20 orchid species in the UNESCO World Heritage area. Bletterbach – source of strenght and power: Leave behind the stress of every day life and sense the stimulating effect of natural elements: during this excursion with Kneipp-coach Rita Bodner you will experience the healing power of nature and of water. A lot of tipps will help you to worry less about every-day-stress. 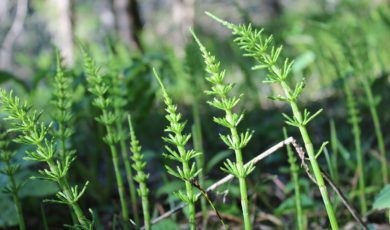 A variety of wild herbs prosper in the GEOPARC Bletterbach, and their different benefits in everyday life are at the core of this hiking tour themed “rocks and wild herbs”. 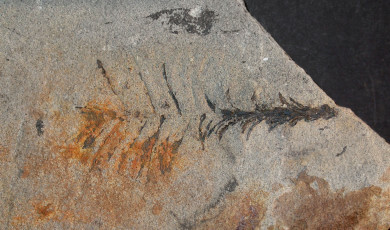 The palaeontologist working at the Museum of Nature South Tyrol, passes on her knowledge to visitors, provides interesting information about the habitats, and the creation of plant fossils and dinosaur traces of 260 million years ago. She also explains the scientific meaning of the UNESCO World Heritage. 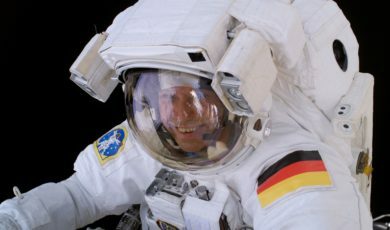 What do have to do with each other the European Space Agency ESA and the GEOPARC Bletterbach? We will tell you about it in July… a photo exhibition at the Visitors Centre will show you the similarities between the sandstones of the Bletterbach gorge and on Mars. Sounds interesting? Oh my God, how time flies! It’s already 10 years ago, that the Dolomites were classified as a unique worldwide property from the standpoint of natural beauty, geomorphology and geology and therefore included in the UNESCO World Heritage. We think this is a good reason to organise a special day at the GEOPARC Bletterbach dedicated to the Dolomites UNESCO World Heritage. We invite you to discover the characteristics of the Bletterbach gorge from a new perspective. Participating at the laboratory of the Museum of Nature South Tyrol you can grasp the Dolomites – in every sense of the word. Obviously we will prepare also a special programme for our young visitors, who can discover the tracks of prehistoric reptiles, analyse the rocks of the Bletterbach and make notes of their osservations in a diary. A musical journey to the history of our earth: It’s already 10 years ago, that the Dolomites were nominated UNESCO World Heritage. The GEOPARC Bletterbach will celebrate this anniversary with a special music: Rupert Hechensteiner from St. Pauls composed a new work for our traditional music band of Aldein. The inspiration he got during his walks trough the GEOPARC Bletterbach. The initiative was financed by the Autonomous Province of Bolzano – Culture Office. Therefore, all brass band fans could be curios, how the composer interpreted the Dolomites UNESCO World Heritage Bletterbach and its geological characteristics.